"Old Friends". 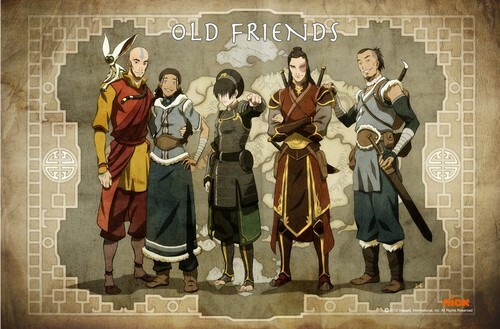 A poster from the 2012 San Diego Comic Con.. HD Wallpaper and background images in the अवतार- द लेजेंड ऑफ कोरा club tagged: avatar the last airbender poster old friends gaang adults aang katara toph zuko sokka. This अवतार- द लेजेंड ऑफ कोरा photo might contain surcoat and सुरकोट. Where did you find that picture of Zuko!?! Sokka got his sword back?!?! 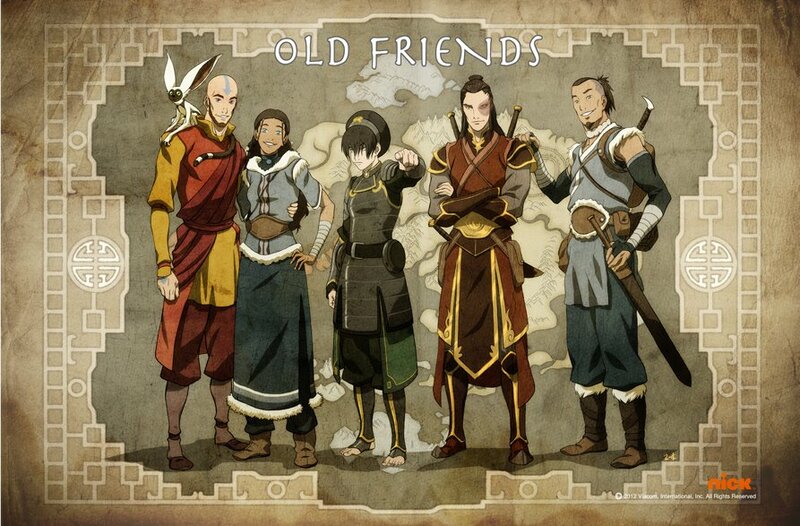 I wish Azula was in this picture. Only one missing is Suki. see, all the good stuff (Posters, etc) come from San Diego con! never made it there! Zuko! You smexy beast. Sokka! Either he got his sword back..or..he made a new one. I'm leaning towards the latter. But.. holy crap. Zuko and Sokka, those smexy beasts!